Dry Matter is everything in a piece of fruit except for the water content—it’s what makes fruit taste good! 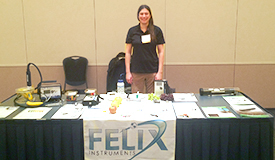 Measuring dry matter at all stages of the supply chain helps gauge ripeness, predict harvest timing, and manage storage. 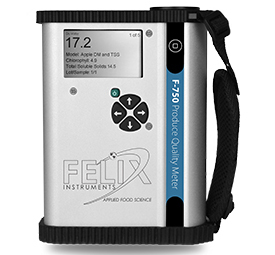 The F-750 Produce Quality Meter uses light to measure internal qualities of produce, including Dry Matter, Total Soluble Solids (TSS or brix), and titratable acid. What makes this method of quality measurement unique? It's non-destructive and fast!